delivering the mail and supplies along the way. Students can then look at the Museum exhibition featuring Tom’s original full size restored truck. Comprehensive course materials including pre-visit activities are supplied. 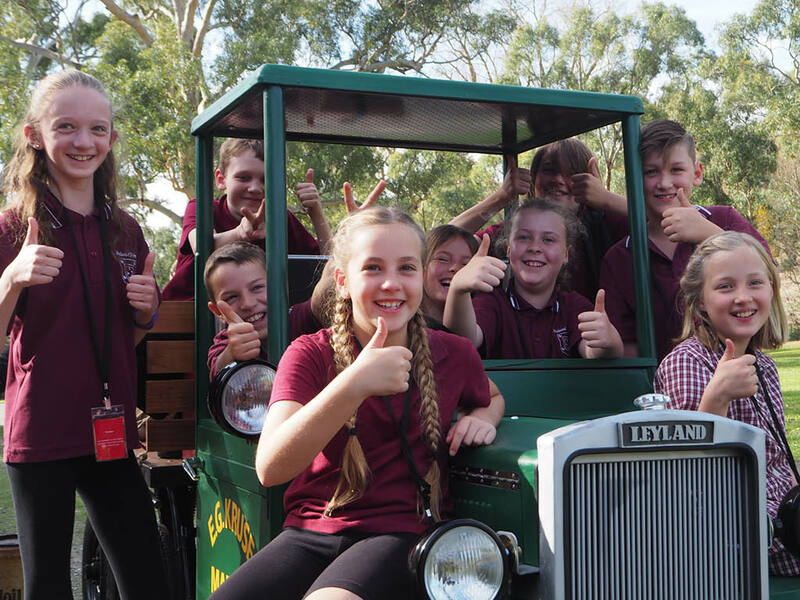 Students will benefit from having some knowledge of how essential goods were carried throughout the outback areas of Australia. Examples might include the Cameleers and early Hawkers. There is a range of lead up activities included in the course materials which students can complete prior to doing the program. Teachers are encouraged to task students writing a letter which they can load into the mail bag on the truck. They will in turn receive a letter back. This activity is described in the course materials. A comprehensive risk assessment is available if required. Students driving the vehicle is an optional activity.